Whatever the legal issue, the law firm you choose to advise or protect your interests is important. 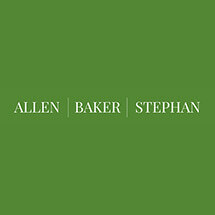 At Michael B. Allen Law Group, Inc., in San Mateo, California, we offer clients with concerns involving construction law or real estate law an ideal blend of experience, integrity, close personal attention, responsive service and aggressive advocacy inside and outside the courtroom. Collectively, our attorneys offer 42 years of combined experience representing clients ranging from individual home buyers to Fortune 500 companies. We have handled in a wide variety of specific construction law and real estate-related matters, including construction defect claims, mechanic's liens, contract disputes, boundary line disputes, real estate purchases and sales, zoning and planning, land development, title actions, loan modifications and landlord-tenant disputes. In every instance, we work diligently to ensure that our clients are satisfied with both the outcomes of their representation and with the nature of the representation itself. We are detail-oriented and extremely thorough in our preparation, which enables us to be more aggressive and effective advocates for our clients. At the same time, we are keenly aware of our responsibility to be economical, efficient and respectful of each client's budgetary requirements. Lastly, for all the pride we take in providing high quality legal services and in the track record of successful results our lawyers have achieved in previous matters – we also know that earning trust and building long-term law firm-client relationships is not a choice. For a smaller law firm with a narrowly focused practice such as ours, it's a matter of survival. With that in mind, we will close with the simple promise that your time, money or trust will never be taken for granted at Michael B. Allen. Law Group, Inc.